The first tastes of real food! 2 days after Ava turned 4 months we tried rice cereal! Friends.. it went so well that she started refusing the bottle.. yep.. How do we know that it wasn’t just a fluke.. well, she would drink half a bottle and refuse the rest. I would then go and get the bowl with the rice cereal and she would start laughing and eat the whole bowl.. What a smart baby she is! A week after she tried rice cereal we went away for the entire week so back to the bottle only we went. Ava eventually realised that she wasn’t going to get solids so she began drinking the bottle again..
Last week I restarted her on rice cereal- she is loving it! 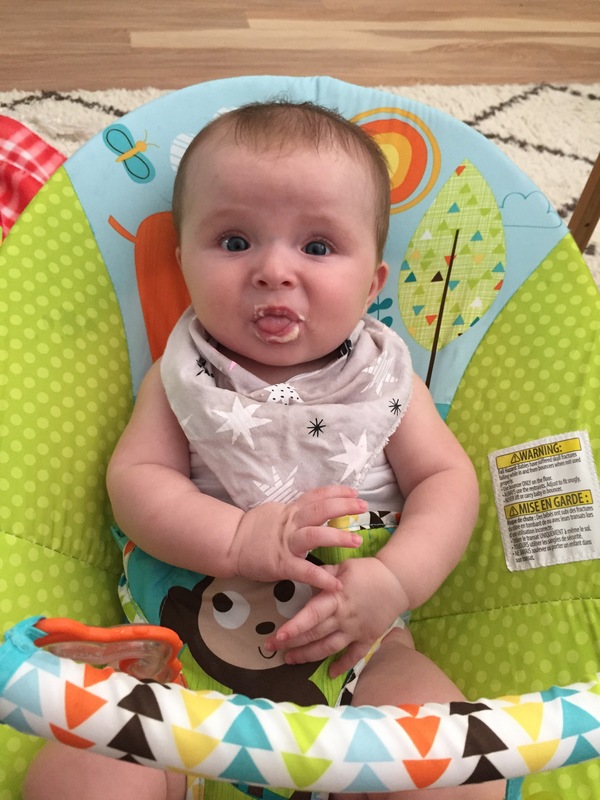 We tried banana with rice cereal which went over terrible..She was not a fan of the banana. We will try it again but maybe I’ll mix it with another fruit or vegetable. 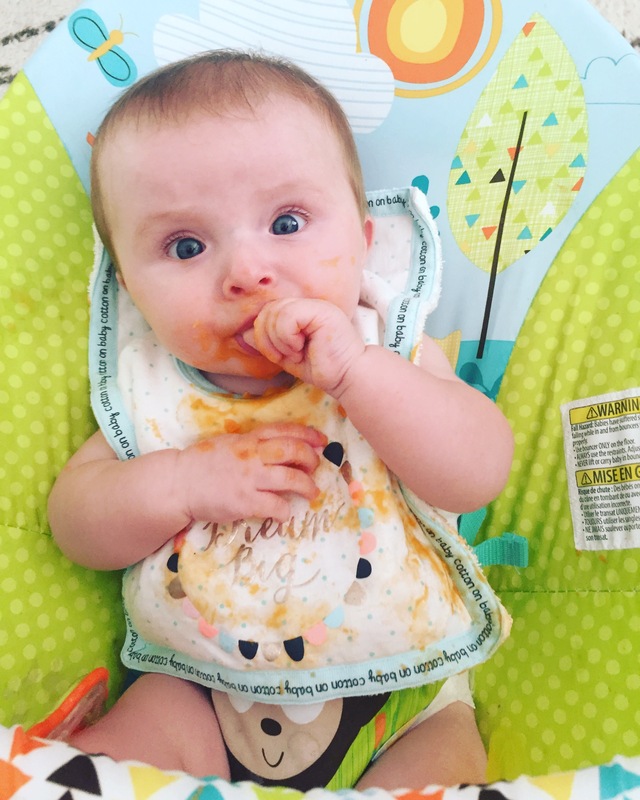 Sweet Potato has been a massive hit! Food will cover you and your child! It is so so messy! If your child is teething they will LOVE the spoon! I recommend giving your baby an extra spoon to bite while you feed them. You will see some of the best facials in your short babies life on the day you introduce a food that they hate! Example below.. banana.. In has been an amazing experience to feed Ava new things!